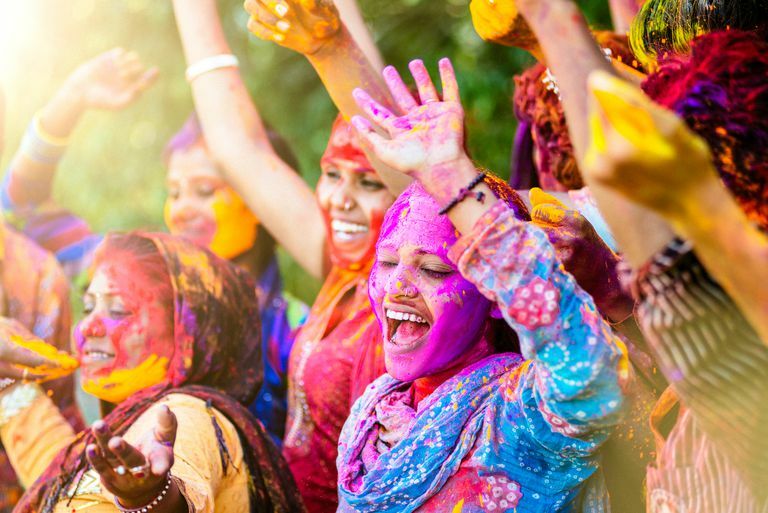 Peoples celebrate Holi in India differently in every state due to diverse cultures, languages, and customs but the soul and enthusiasm remain the same across the country. Marathi style Holi parties in Mumbai are one of the most renowned Holi Events of India. 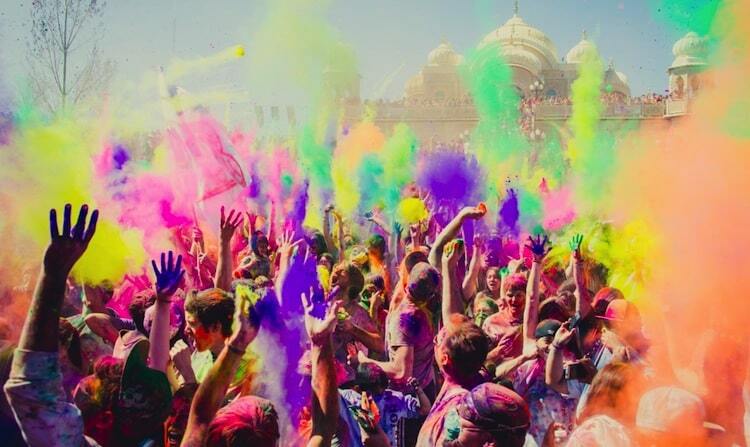 Mumbai is one of the best places to celebrate Holi in India. 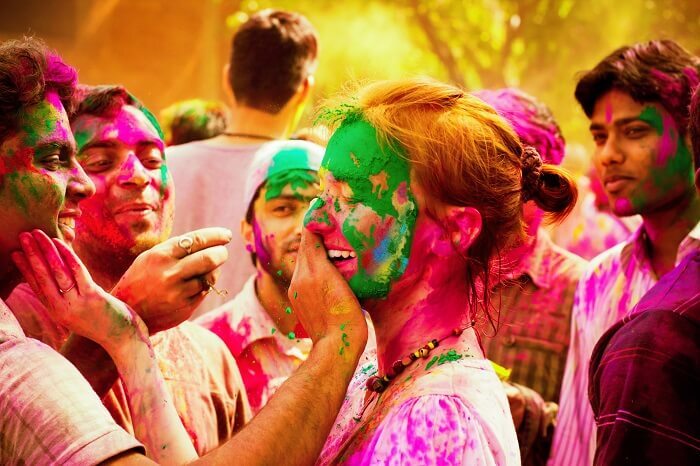 Before we list the best place for Holi in Mumbai all such happening about celebrations of Holi in Mumbai, let’s give you a brief on how and why the Holi festival came into existence. Firstly, the word Holi is derived from the name of the Hindu demoness ‘Holika,’ who was the sister of the arrogant king Hiranyakashyap. He, being self-obsessed, ordered the citizens of his kingdom to worship him instead of Hindu God Vishnu. Prahlad, his son, remained loyal to Lord Vishnu which infuriates his father. For his treachery, he wanted to kill his son, and for that, he asked his sister to sit on a burning fire keeping Prahlad her lap as Holika, sister of Hiranyakashyap, was immune to fire. His entire plan was spoiled as Lord Vishnu was Prahlad’s savior, so he came out from the fire safely, and Holika was burnt to death. The next day is celebrated with colors to mark the victory of goodness over evil. Coming back to Holi parties in Mumbai 2019, undoubtedly, this place is the most attractive and has their way of making this festival even more enjoyable. Just like every year, in 2019, Mumbai will celebrate Holi on 21st of March. It has the same amount of enthusiasm and eagerness among everyone as previous years. 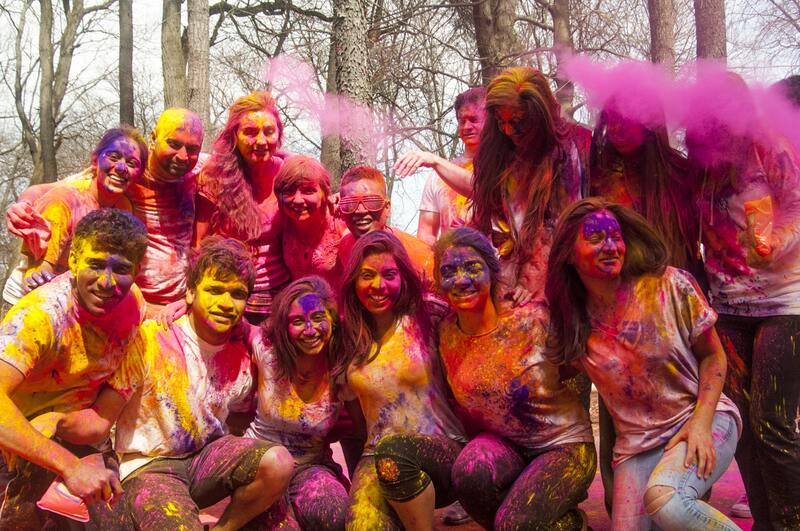 In short, one can say that the Holi celebration is no less than a complete package of fun, entertainment, and happiness. 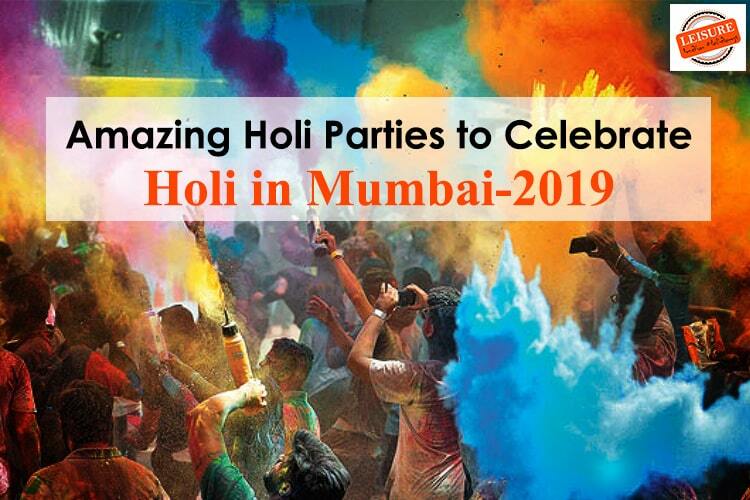 Right from the party-loving crowd of the city to the Bollywood celebrities and the socialites, everyone’s there to take part in Holi events in Mumbai 2019. 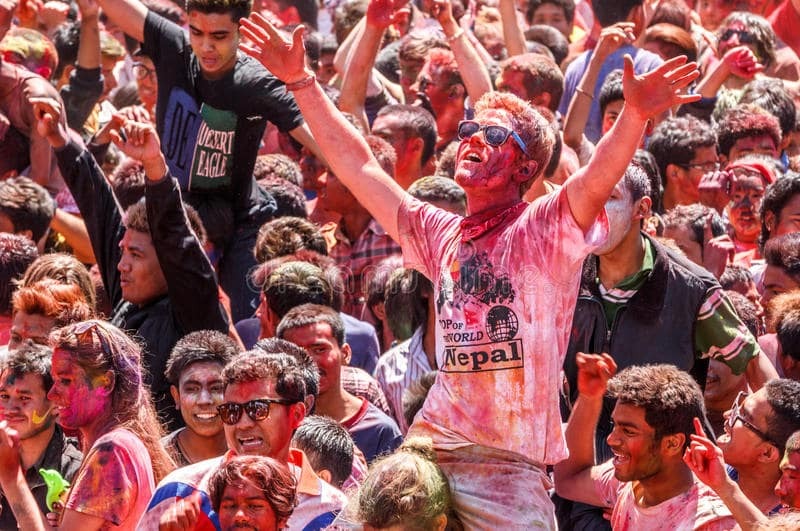 Like previous years, Holi in 2019, will be organized at several places like amusement parks, grounds, beaches, hotels, resorts, and so on. But yes, with the passing years, we have started becoming busy with our lives, so to get in a relaxed mood, people opt for resorts as playing Holi in resorts in Mumbai is in very much demand. 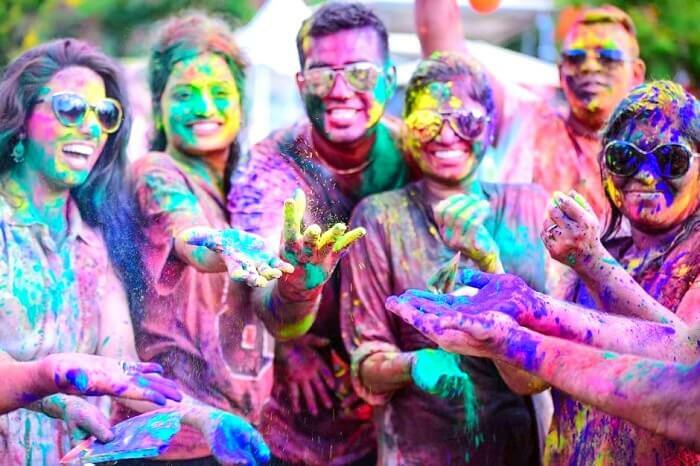 All the people who are thinking about where to celebrate Holi in Mumbai in 2019, here are some of the best places for Holi Celebration in Mumbai that is going to reveal the loving and joyful colors of the festive season in Marathi style. “Camping” is the act of spending a holiday living in a tent and when it’s a celebration of Holi in Mumbai which not only allows you to enjoy the festival with colors and water, but also it will help you to enjoy the live DJ performances, bonfire along with succulent meals to make the experience even more memorable. No one could get a better location to celebrate Holi than the beautiful background of the Arabian Sea forming an attractive and lovely picture. One of the best Holi parties in Mumbai, Rang De Holi is for those who want to sing with your group of friends or go solo and mingle with all the party people there or dance, or go crazy with organic colors, live performances, rain dance, and maybe if go lucky, then there would be some surprises that the organizers have lined up for you. 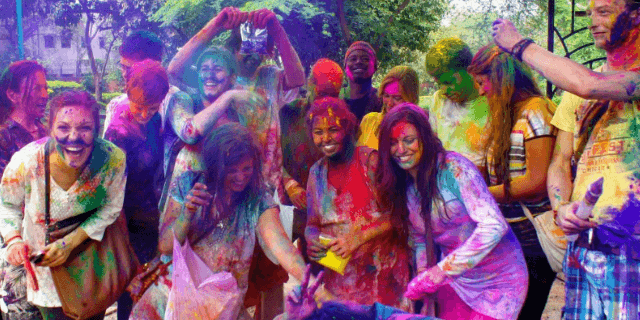 If you are searching a massive Holi celebration in Mumbai then come to Borivali, where you will witness hot DJ performances, belly dance performances, celebrity guest appearances, traditional Holi food, free-flowing liquor, and the most exciting part, Holi rain dance party in Mumbai. Bollyboom is one of the best parties of Holi in Mumbai. If you want to enlighten your love for Bollywood with a splash of colors, then do visit BKC. There you will get to see Bollywood moves with a mix of incredible music, yummy traditional food, and of course crazy people who are drowned in the joyfulness of this colorful festival. 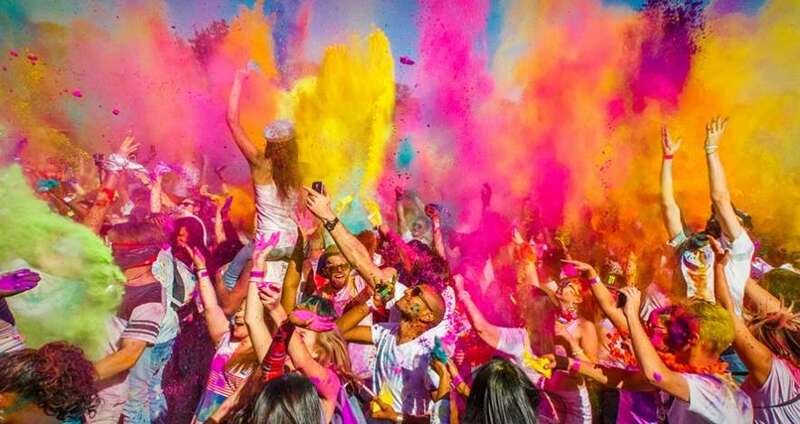 This is the biggest Holi event in Mumbai. The Somshiva Color Festival is devoted to all the psychedelic music lovers in Mumbai. There you can expect some fancy colorful lights and fancy décor too, and as the name indicates “Somshiva,” so there will be a 40-foot high fabrication of Lord Shiva! Sculptor. At this festival, you can indulge in scrumptious food, cheap drinks, with a mix of organic colors, music, and Buffon. A design of 40-foot high fabrication of Lord Shiva! Scrumptious food, music, dance, and so on. 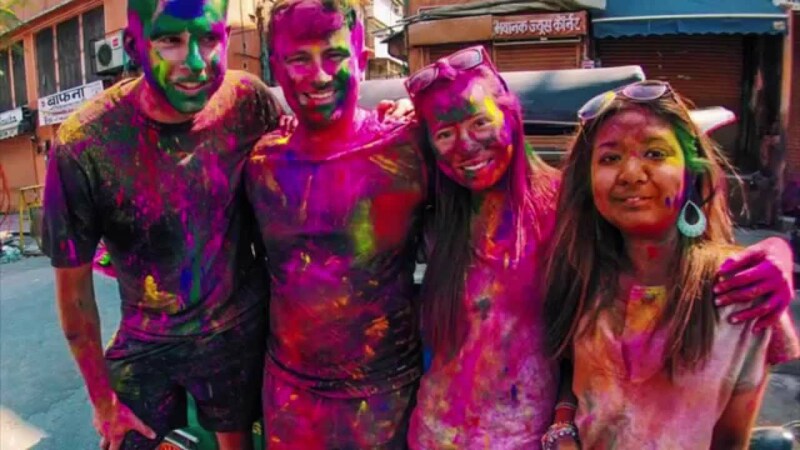 If you are friendly and wish to explore the life of slum and want to know how they celebrate the Holi festival in Mumbai, then this tour would help you to mingle with the locals in Dharavi and feel their community spirit as you join them in Holi celebrations. 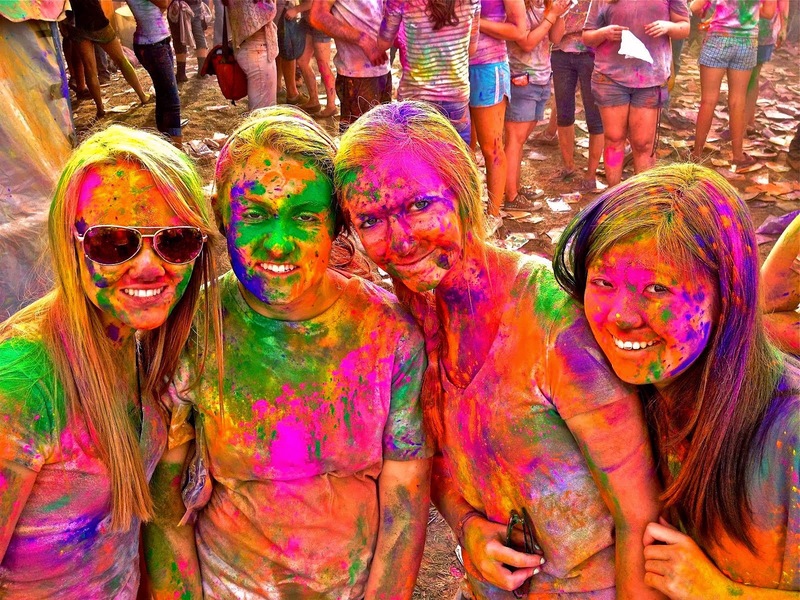 If in this Holi, you’re seeking something more daring then head over to the Adventure Holi Fest in Kolad. Along with organic colors, there you will get to do activities like wall climbing, rappelling, and many more. 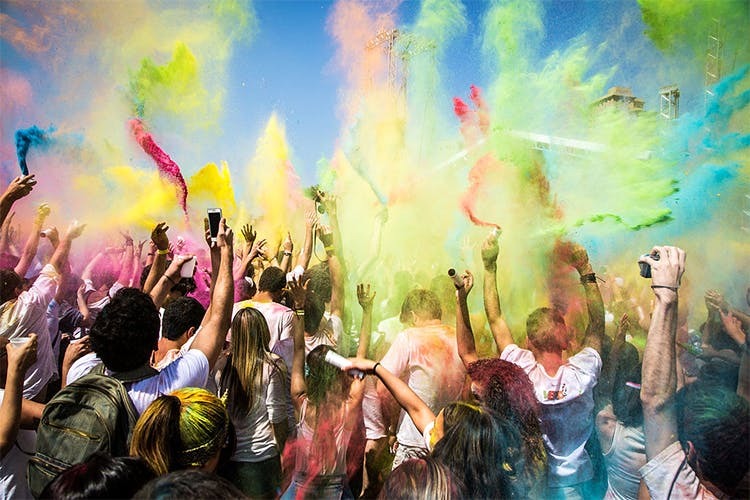 The organizers would line up with special Holi games and rain dance too, all by the peaceful lakeside with Thandai and snacks; so, you’ll have a blast. 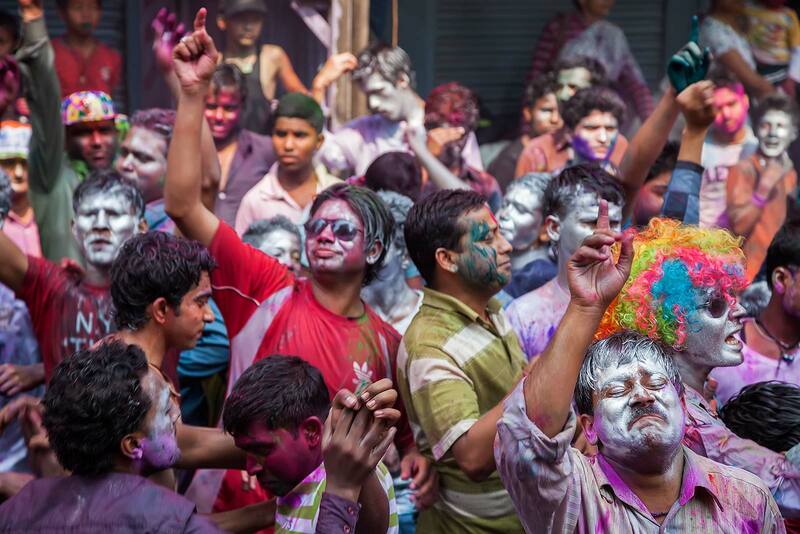 Holi Bash, in Gorai, is a no-colors festival, but that certainly doesn’t mean its lesser fun. Their idea of joy is about chills and thrills, so get ready to celebrate this Holi unlike any other. There you will get to enjoy music, dance, and food, but that’s not all. 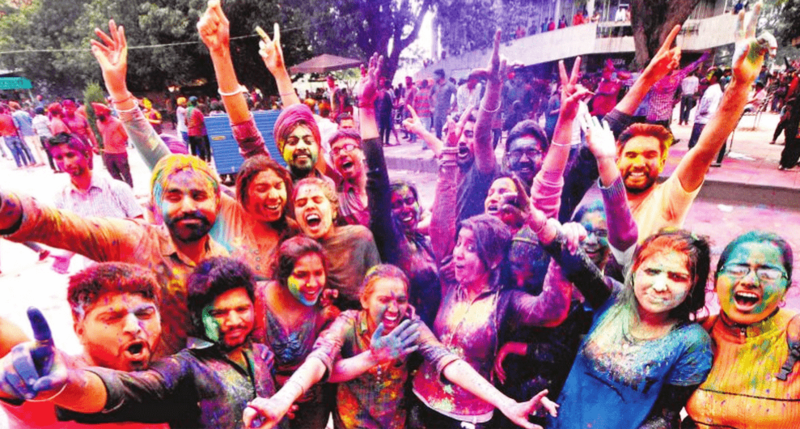 Holi celebration at Maitri Lawns is a cut above the rest. The organizers line up some fantastic music, rain showers, and lots of organic colors to get the party started. The music is going to go non-stop so, make sure you people are pumped up enough to parallel the energy level at this party. Every year, Pali Beach Resort gets a jazzy makeover during Holi in Mumbai, and the resort transforms itself into a discotheque with DJs play their popular Bollywood numbers. 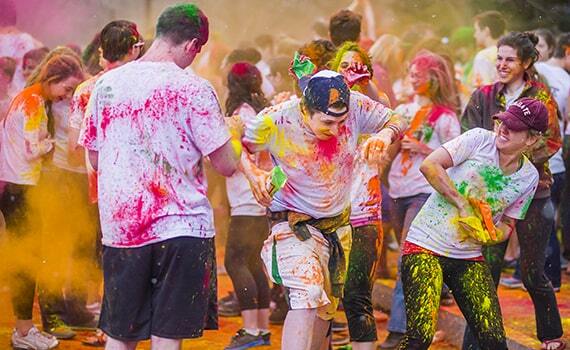 If you get tired while dancing, then you can enjoy the Holi celebration at the water park or have some delicious food. Also, don’t miss out the favorites — Thandai and sweets. Adlabs Imagica is the most exciting park in Mumbai and celebrating Holi here undoubtedly would be an unforgettable experience. Every year, Imagica organizes a Holi party that is full of colorful experience with the rides, DJ, food, and so much more. Spend your Holi 2019 in a healthy way with the fitness community. Complete your workouts in a different way with challenges, competitions, and games revolving around fitness. There you will get tasty and healthy food and good Bollywood numbers. Workout challenges, games, and so on. Life is nothing without music and today, no music means no celebrations. The Youniverse music festival serves to people with a different taste of music. So, if you people don’t like to celebrate Holi with colors, then, still there is a chance to celebrate Holi with pure music. Celebrate your Holi near the tranquil sea, at the Marine Drive and get drenched in water and colors. There you can witness the whole new vibes with renowned DJs, live performances, flea markets, engaging games, and many more. 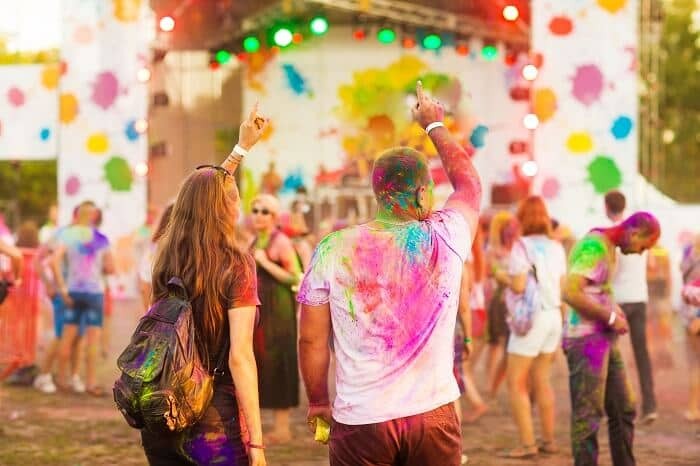 This 7-day “Colours By The Bay”, the festival can beat all the Holi parties in Mumbai. This Holi, get ready to be drenched in Gorai Beach with vibrant colors and water. This pool party will indulge you in music, dance, colors, food, drinks, and unlimited Masti. These are some of Holi parties which are being conducted in Mumbai every year. The list of such parties is endless, so, go ahead and select the best party according to your type. Mumbai is a city of dreams, and the way Holi festivals are celebrated here is no less than a dream, so you cannot afford to miss the Holi celebration. Tell us in the comment section about your choices of parties or festivals and our assistance team will help you reserve the spot.